Last Saturday was a real blast! We were hustling like crazy on one of our busiest days of all time (no joke!) and also doing a photo shoot for SIFT magazine. I will not see the photos for a while, but thanks to everyone who participated and smiled at us. We <3 our community. Get your bread fix in this weekend as we’ll be closed the following weekend for Passover. Reminder: We do bagel platters now if you need something for an event! Note: We will be closed/no bread the weekend of April 20th. It’s Passover and we’ll be visiting family and eating lots of Matzo Balls. You can pre-order bagels (and bread) online They’re also a bit cheaper if you order them ahead of time and it guarantees you some bagels. Pickups start at 9:30 AM on Saturday. In a couple of weekends, we’re going to be (hopefully) enjoying the beautiful weather and cooking pizza (and some other tasty treats) outside at West Kill Brewing’s Taproom in the Catskills. Our friends at West Kill make some of the best beer in the area (and we would argue anywhere) and we can’t wait to pair some classic pizza cooked in a portable oven and our some of our favorite sandwiches as well. Take the drive into the mountains and come through! Testing out some new flour with the country this week, so no lab loaves! Oland is a grain of Scandavian origin that is now being grown and milled in Maine by Maine Grains. We mix it into a hearty boule that is becoming one of our favorite loaves. Upstate Levain is our classic loaf with 50% local whole wheat (some of it fresh milled). Great for sandwiches. Kingston Country is our take on a pain de campaigne, a French sourdough loaf, with mostly organic white flour and a touch of fresh-milled local whole wheat. Great for dipping in olive oil or your favorite schmear. Another old one this week. “Acid Raindrops” has been one of my all time favorite under-rated hip-hop songs of the early aughts. This album (and this group?) as a whole has consistently been producing some of the most bumpable and head-noddable hip hop for two decades now. We had a blast last weekend serving bagels and charcuterie for one of our busiest Saturdays ever. Our friends at Westwind Orchard are opening again this weekend for food (some of it served on our bread) and that means Summer is just around the corner. We have a bunch of leftovers from last weekend’s spread so look forward to some very very very special bagels this weekend (think fancy cheese and meats). This weekend (Friday afternoon and Saturday morning) a local photographer we’ll be around to take photos of us in action for an upcoming article in a national baking publication. We’re very excited! They want to get some shots of the counter in action, so if you are very camera shy just let us or the photographer know. We’re going to try to keep it as low impact as possible. Semolina Sesame is our take on an ‘italian bread’. Ours is made with organic Semolina flour, high extraction whole wheat, and our sourdough starter. 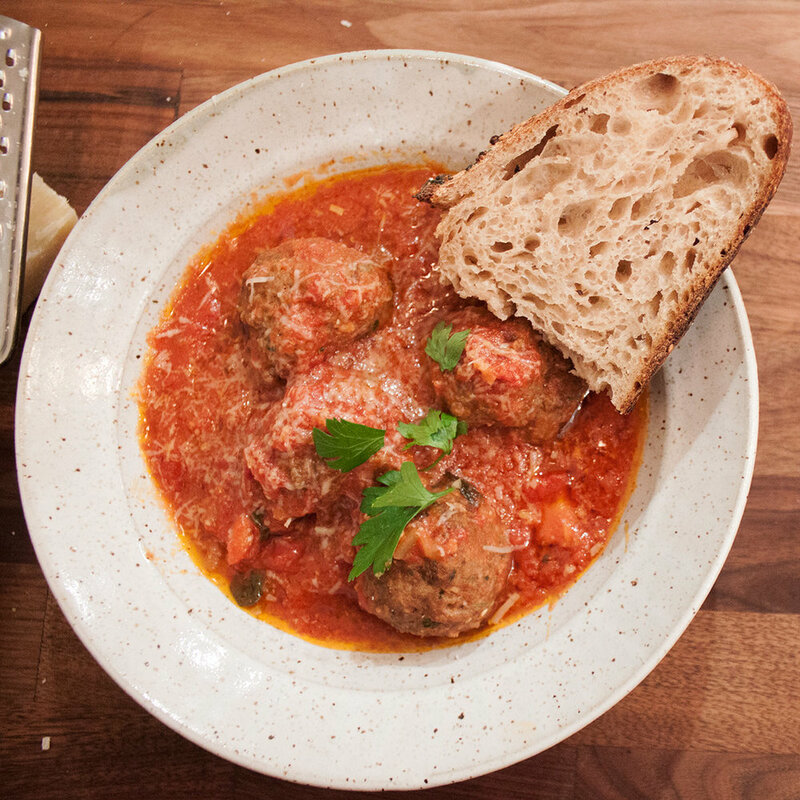 There is no better bread for pairing with a rich red sauce and maybe a meatball or two. Oland is a grain of Scandinavian origin that is now being grown and milled in Maine by Maine Grains. We mix it into a hearty boule that is becoming one of our favorite loaves. This album is 10 years old now (which blows my mind) but it stills sounds fresh. To me, this is a Spring album. Something about the vocals and bouncing rhythms reminds me of bus rides on green highways. It's as good a working album as a relaxing album and that's something hard to pull off. Spring is really here (almost!). I spent an afternoon this week exploring the neighborhood with my son, Magnus, looking for signs of spring. Green things are coming! We can’t wait to for all sorts of special spring bread and bagels, but in the meantime, let's wrap up the winter with a bang. Last week we sold out of bagels by 12:45 so come early or preorder. Until we can figure out a better fridge situation, no more dozens to go other than pre-orders. Next Saturday, Rough Draft is hosting a Hudson Valley Brewing Tap Takeover and we’re pairing their delicious sours with handmade charcuterie plates. You may or may not know from the various things I do for bagels, but one of my other loves is making fine cured and prepared meat. We’re making a number of special preparations for Saturday including Country Pate, Mortadella, and Chicken Liver mouse (all from scratch!) and served with some local cheese and of course some slices of bread. Kamut Pan loaves are our favorite sandwich bread. Kamut (aka Khorosan) is an ancient grain that we get from Milanese in Quebec. I think it has a bit of a sweet honey taste while still being 100% vegan (like all our other breads). It will be great for leftover turkey or PB jelly sandwiches. This is a recent discovery of a couple of years old album by some of the producers and musicians behind the Beastie Boys instrumentals and other great modern funk + afrobeat. This is funky and fun and has kept me going the past two weeks. Temperature. Baking is 90% temperature control and adaptation. So, as you probably know if you’ve been following for a while, every time the seasons shift a little bit, or we get a warm spell or a cold spell, we have to change everything we do and adapt to the new normal. Last week was a little blip. A very warm day through everything off and now we're working and testing to get back to normal. I’m not sad about warmer and longer days - but figuring out how to bake in a room with very little temperature control is a constant challenge. This is mostly fun for me and once in a while (like last weekend) we get near perfect bread. Hopefully, this week is no different! PIZZA is back. For our March Pizza night, we’re supporting a Founder’s Brewing Release party at Rough Draft. Once again with the square pies and hot wings. Friday 3/22 starting at 7 PM until sold out. Next Saturday, Rough Draft is hosting a Hudson Valley Brewing Tap Takeover and we’re pairing their delicious sours with handmade charcuterie plates. You may or may not know from the various spreads I do for bagels, but one of my other loves is making fine cured and prepared meat. We’re making a number of special preparations for Saturday including Country Pate, Mortadella, and Chicken Liver mouse (all from scratch!) and served with some local cheese and of course some slices of bread. Polenta loaves are back this week. This is similar to our Oat Porridge loaf, where we mix in grain after forming a solid base dough. In this case, beautiful local polenta (coarse cornmeal) from Farmer Ground is mixed in to a half whole wheat base, similar to the Upstate Levain. The result is a tangy but sweet loaf, studded with the texture of the polenta. Perfect for a bowl of chili as we end stew season. Shout out to one of our regulars, Jeremy, whos band Woods consistently puts out great music. 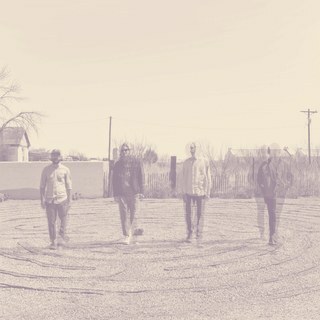 This new(-ish) collaboration with another favorite, Swedish psych band Dungen, is a real jammer and has been playing regularly as we prep for the coming Pizza storm. Last Saturday was a bit bonkers. We’ve been trying to get the bagel timing down perfectly and I’ve been trying to hand off more steps of the process (delegate or die!) and we had a very strange (but overall still very tasty) batch of bagels. I also got to take home a Semolina loaf and was very very happy with how that came out. This week, we begin a couple back to back weeks of events, exciting times! You can pre-order bagels (and bread) online They’re also a bit cheaper if you order them ahead of time and it guaruntees you some bagels. Pickups start at 9:30 AM on Saturday. This Sunday, 3/17 - we’ll be spending St. Patricks day slinging Corned Beef in a typical way, but maybe not one typical for St. Patrick. We’ll have Corned Beef on Rye, and sides of Matzo Ball Soup. First come, first served starting at noon with a (very) limited number of sandwiches made with some beautiful house-cured organic corned beef brisket, KBL Deli Rye, and a whole lot of mustard. Zay’s Zay’s matzo ball soup as well. PIZZA is back. For our March Pizza night, we’re supporting a Founder’s Brewing Release party at Rough Draft. Once again with the square pies and hot wings. Friday 3/22 starting at 6PM until sold out. I’m making a smaller amount of Country loaves these days (before wholesale picks back up in the Summer) so if you want one, please email to let me know to save one for you (that goes for any of the loaves actually). Deli Rye is our naturally leavened take on a classic Jewish Rye. A mix of Rye, whole wheat, and white flours, dusted with caraway seeds and cornmeal. We’re making a bunch for Sunday’s sandwiches, so you can get lucky and take one home. Whole Wheat Pan Loaf is our take on a 100% whole wheat sandwich bread. Last time we made this, it was a huge hit and with good reason. It was moist, but sliceable, and so good with a thick schmear of butter. Some straight modern German Techno/Trip-hop to round out this winter. Only the darkest/bassiest tracks will suffice right now. Reflecting on the past year baking at Rough Draft it’s pretty exciting to me how far we’ve come in such a short time. I’m thinking about writing something longer about this, but in the meantime, thanks again to all of you who have supported Bread Lab since the beginning and come with your smiles and leave with bread every week. We do it for you! As the seasons change, we’ve been getting a ton of requests for big orders of bagels for events (weddings, baby showers, etc) and have tried our best to fulfill them. As we’ve also upgraded some equipment (hello dough divider) and I’ve gotten more help in the kitchen, not only is this possible, it’s something we’re excited to do for folks! We’ve put together a page full of information and pricingfor all your noshing needs. Please don’t hesitate to hit us up with any questions you might have! Bringing back an all time favorite, Semolina Sesame this week. We are ordering some new baking pans as well so expect a bigger stock of pan loaves soon. Sesame Semolina is one of our all-time favs. A blend of whole wheat, white and semolina flours, its beautiful yellow color, and special aroma make the perfect bread for dipping in your favorite red sauce, with a slice of fresh cheese, or just a healthy dose of good olive oil. Kamut Pan loaves are our favorite sandwich bread. Kamut (aka Khorosan) is an ancient grain that we get from Milanese in Quebec. I think it has a bit of a sweet honey taste while still being 100% vegan (like all our other breads). It’s my kids favorite for PB+J sandwiches. An eclectic album that ranges from dancy to mellow to BUMPING. 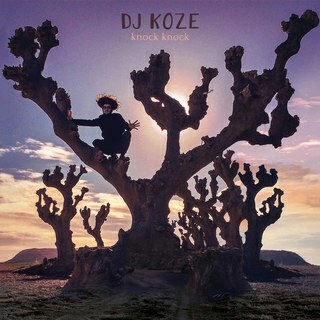 I’ve enjoyed Koze’s music for a while and though there aren't necessarily any tracks on this that I need to listen to over and over, I’ve found myself putting this on pretty constantly throughout the week as it’s great ‘getting down to business’ music. Last week was a blast - it felt great to be back and we pushed some limits in terms of dough and it all turned out pretty well. We also sold the most bagels we’ve ever sold in the shortest amount of time. Thanks to our fancy new tool - a manual dough divider - doing more bagels every weekend seems a bit easier, so look out for more options soon. Also, I completely forgot until today, but this weekend marks our 1-year anniversary baking out of Rough Draft. Hooray for us! Special shout out to Amanda and Anthony on letting me continue to take over more and more of their kitchen and the many other ways they support me and the Bread Lab. Here’s to the next year! I might be doing some special test bakes as well as I try out some new flour, we’ll see! Whole Wheat Pan Loaf is our take on a 100% whole wheat sandwich bread. Last time we made this, it was a huge hit and with good reason. It was moist but sliceable, and so good with a thick schmear of butter. An awesome ambient album that I recently discovered after MRB and I were digging through the insanely extensive catalog of music created by the trio of musicians from Yellow Magic Orchestra. This is just one of literally hundreds of albums of music that’s worth listening to. This one caught my focus this week as I was heads-down writing. I can’t say that the vacation was relaxing but it was amazing to spend time with my family and get some sunshine, so I feel very lucky right now. I am very excited to get back to business with the bakery, though, and this week will be like a dough-cation for me. As of writing this, there are no breaks planned until May (though that might change, keep an eye on this spot), which means after the reset this week, look for us to get back in the rhythm and trying new things in the lab. Also, be on the lookout for new events and happenings in the coming weeks. A very busy week getting back in the swing of things so we’re going to stick to our classics. If there’s a loaf you’d like to see, always let us know! 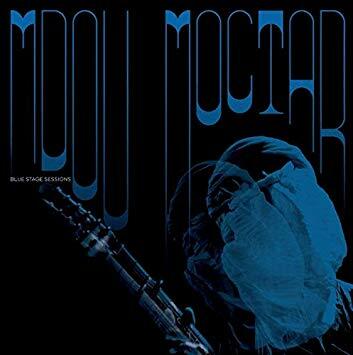 I saw Mdou Moctar play at BSP a while ago and while I liked the recordings, the live show completely blew me away. This live recording does a pretty good job of capturing why that is. If you like tasty licks with an African desert flair - this is for you. Thanks for everyone who came out for Super Bowl and Toast last weekend. We had a great time despite the boring game and having to see Adam Levine’s tattoos. This week is going to be a quick-ish one. It’s been extra busy in other parts of my life so we’re going to be not going quite as crazy this week. This is all to say, get there early if you want bread or bagels. Also, we’re off/closed the week of the 2/16 (the following Saturday) for an actual vacation. It should be the last trip for a little while. We’re back again this weekend for TOAST. It was a subdued opening last week, but it was also a freezing day and we didn't actually expect a huge turnout. It gave us some time to figure out how to do it. We were VERY happy with the final product though and got some very nice compliments from those who came by. From 3pm onwards we’ll be slinging delicious ‘afternoon bites’ of toast and seasonal and varied toppings. These will be the perfect pairing to your beer or wine at the bar - a great snack with a drink before dinner. Or if you’re really in the mood, fill up and spend the night. I somehow missed this album last year but its one of the weirdest/greatest things I’ve heard lately. Sure it’s kind of a gimmick (15 1 minute songs) but holy cow they're some of the most catchy/inventive R&B songs of the past couple years. Back! I have to admit, there was a second there where I really didn’t want to come back from LA. It is a great city, filled with amazing food and bread. More, its a city filled with energy and tacos and good lord, do I love tacos. If I quit doing bread, you might find me running a taco cart somewhere instead. Lots going on this week. On top of normal bread and bagels this Saturday, we’re continuing our service into the evening and doing Afternoon Toast at Rough Draft. Then, on Sunday, we’re making tons of wings and Chili for Super Bowl. Read on for more deets. We’re trying something new this Saturday. and after the morning bagel grind, we’ll be transitioning into TOAST service at Rough Draft. From 3 pm onwards we’ll be slinging delicious ‘afternoon bites’ of toast and seasonal and varied toppings. These will be the perfect pairing for your beer or wine at the bar - a great snack with a drink before dinner. Or if you’re really in the mood, fill up and spend the night. We’ll be moving right from Saturday to another evening of eats. This time before kickoff for the thing where the two teams kick and throw the ball down the field and there are lots of commercials! Whether you care about the game or not (it will be on a large projector) you can come to Rough Draft starting at 5 PM for Smoked Sausage Chili or a Vegan Chili, Wings, and Polenta Flatbread. It should be very warm, savory, and delicious. Hell, I would have made this at home for myself, but we’re kind enough to share it with you. LOOOOTS of bread this week as we expect the usual uptick after a week off. People need their fix. I’m over a year late to this album but damn, what a beautiful thing. I found out about it after seeing they were going to be playing at BSP in April (and will be going to that show). If you like Kate Bush or staring out the windows of trains, you will like this album. Thanks to everyone who came out last week for Pizza and Wings. We sold more pizza than we have ever before and we sold out of wings in less than an hour! I truly love this community and your support and it makes me excited to do bigger and better things. Note We are closed the weekend of Jan 26th as 2/3 of the crew will be on vacation. We’re trying something new in two Saturdays and after the morning bagel grind, we’ll be transitioning into TOAST service at Rough Draft. From 3 PM onwards we’ll be slinging delicious ‘afternoon bites’ of toast and seasonal and varied toppings. These will be the perfect pairing for your beer or wine at the bar - a great snack with a drink before dinner. Or if you’re really in the mood, fill up and spend the night. Full menu coming soon. If this works out we hope to make it a weekly (maybe even daily?!?!??!) thing. We’ll be moving right from Saturday to another evening of eats. This time before kickoff for the thing where the two teams kick and throw the ball down the field and there are lots of commercials! Whether you care about the game or not (it will be on a large projector) you can come to Rough Draft starting at 5 PM for Smoked Sausage Chili or a Vegan Chili, Wings, and Polenta Flatbread. It should be very warming, savory, and tasty. Hell, I would have made this at home for myself, but we’re kind enough to share it with you. 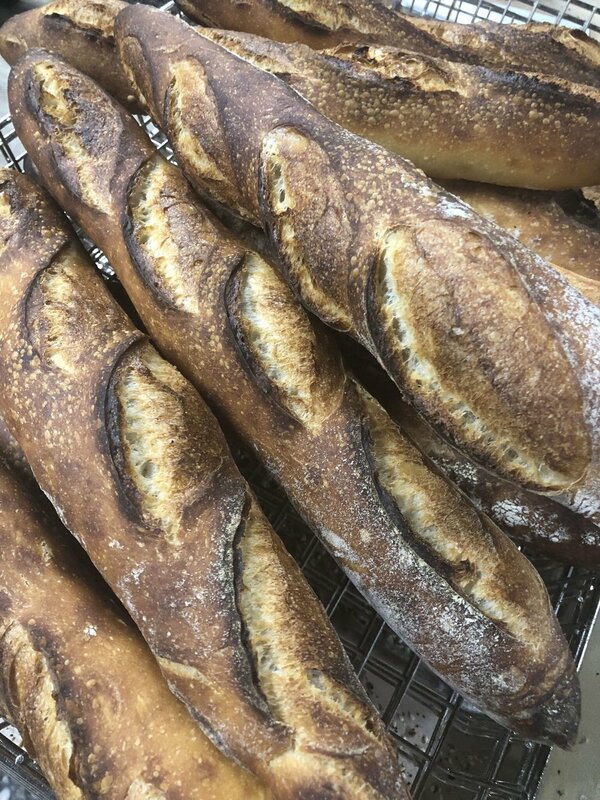 Note: No Country this week as the Levain has been much more popular these days and also I think the Oland pairs a little better with this cold weather. Seedy Wheat is one of my favorite pan loaves. Its a hearty whole wheat bread with Sunflower, Flax, Sesame, and Pumpkin Seeds. I see it as a modern version of a classic hippy-seed-bread. Unlike the classic though, this is moist, easily sliced, and full of flavor. Its great with a strong cheese or a dollop of good butter. If you haven’t tried our baguettes lately - you should. They truly get a little better every week. This album mocked recently by someone in the kitchen that this sounds like ‘NY1 intro music’. Little did they know that that is one of my favorite genres! This album produced by one of Chicago’s finest is just a great collection of chill vibes. Pairs nicely with these cold days! Back to the grind, last week was a very very good week for bread and bagels - we hope you all agreed! The 100% whole wheat came out so great, that is sure to be a new standard. This week there will be a slightly smaller variety of bread as we are also doing PIZZA on Friday night. Still bagels, and maybe even some brisket on Saturday. We have some more big announcements and events coming up soon, so stay tuned! PIZZA + WINGS 1/11 - This Friday! Pizza is back! We’re doing another square slice night at Rough Draft after a long hiatus and we couldn’t be more excited. New this time, we’ll be going roman style and selling the slices by weight so you can get a big slice or a little slice and try a bunch of things. Also for the first time, we’re going to try to do WINGS. Inspired by a recent frying kick for New Year's Eve we’re going to try to bring my favorite chicken wings to the people. These will be very limited quantity so come early. This all goes down THIS Friday 1/11 starting at 6PM. And also a Caesar Side Salad. Kamut Pan loaves are our favorite sandwich bread. Kamut (aka Khorosan) is an ancient grain that we get from Milanese in Quebec. I think it has a bit of a sweet honey taste while still being 100% vegan (like all our other bread). It will be great for leftover turkey or PB jelly sandwiches. One of the most underrated classics of mid–90’s west coast Hip Hop. Casual is one of the lesser known members of Hieroglyphics crew from Oakland. His flow is so good and the beats are like a case-study in the genre. Happy New Year! We’re excited to get back to it this weekend with all the favorites and some new specials. We’re still trying to figure out the best schedule for baking in this new temp, but I’m increasingly happy with how everything is turning out. I have really high hopes for 2019 and we’re going to try to start it off with a bang! Pizza is back! We’re doing another square slice night at Rough Draft after a long hiatus and we couldn’t be more excited. New this time, we’ll be going roman style and selling the slices by weight so you can get a big slice or a little slice and try a bunch of things. Also for the first time, we’re going to try to do WINGS. Inspired by a recent frying kick for New Year's Eve we’re going to try to bring my favorite chicken wings to the people. These will be very limited quantity so come early. This all goes down Friday 1/11 starting at 6PM. 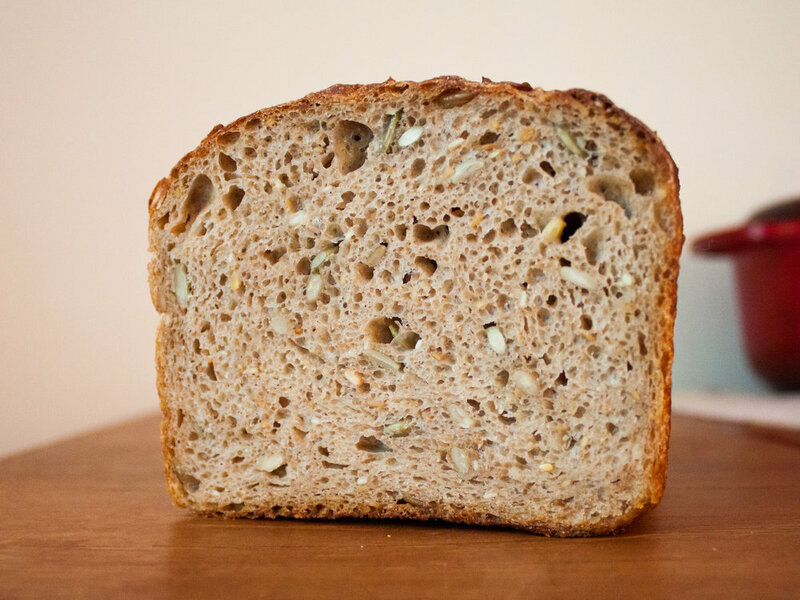 After a long break, we’re bringing back our fan favorite Einkorn loaf. This is a blend of fresh milled whole wheat Einkorn, high extraction whole wheat, and strong white flour. The flavor and aroma of this loaf always reminds me of grassy olive oil. It pairs great with a strong tapenade or your favorite pasta. There have been many requests lately for 100% whole wheat loaves, so we’re going to take a go at this again, this time as a pan loaf. Should be soft and full of flavor, ideal for a healthy dose of jam or butter. Back on my BS with this year-old soft shoegaze indie rock. It’s good though, and catchy, and sad, and all the things I want right after new years. It’s very hard for me to believe that it's already the end of the year! What a year it’s been for us. I’ll definitely be doing some more reflecting about what this all means in the downtime we’ll have but in the meantime, I’m just excited to prep for this weekend’s bake. We’ll be open and doing our now regular thing with bread, baguettes, and bagels this weekend including the now classic sandwiches: The Maui (Red Chili Cream Cheese, Hot Smoked Salmon, Fried Onions, Honey) and The Shiksa (House-made Glazed ham, 2 yo Vermont Cheddar, Cultured Butter). We’ll also be rolling out a new Vegan sandwich with slow roasted sweet potatoes. We will be closed/no bread the following weekend Dec 29th, so make sure to get all your carbs in before then. If you’re sticking around this weekend, make sure to also go to Rough Draft on Sunday for our friend Pruitt’s Thai Noodle Pop-up - it is sure to be delicious. GIVE THE GIFT OF BREAD! We think Weekly Bread Shares could be a great gift for the Holidays. If you purchase a share between now and the end of the year, just add a note at checkout of who the share is for/their email and when you would like me to send the notification to them. Viola - they get to pick up a fresh loaf every weekend. I can’t think of anything that will make them happier. For every share purchased between now and the end of the year, I’ll also throw in a free “Leavened By Nature” tote bag. Cheers! Polenta is one of our fan favorite lab loaf’s always selling out first. It’s a similar base to our Levain, with a mix of white and local whole wheat flours. What makes it special though is the addition of pre-soaked NY Grown and milled coarse corn polenta. Studded through the loaf, this gives it sweetness and texture. It’s one of the best loaves for soaking in olive oil or tomato. Our 100% rye pan loaf is made in the style of Vollkornbrodt. It is naturally leavened with a rye starter and chock full of seeds (flax, poppy, sesame). It is heavy and delicious. It will last for weeks if wrapped. Unfortunately, due to the much higher cost of making this bread and the low quantities I’ll be making, I can’t offer this as an option for shares. If you want to reserve an extra one, though, let me know - they will be $12/loaf. I heard some of this album on this past week’s Afropop Worldwide on WAMC and was captured by the story of these people and the sound of their music. The groove is deep and lovely and it should pair well with any cooking you have to do over the next week. After a pretty solid weekend of pretty solid bagels and bread (I was extremely happy with how that Oat Porridge came out) I’ve spent the last couple days working in Portland, OR but also getting in some good meals as well. The only bad news about this weeks trip to PDX is that I have less time to prep on Thursday which means I’ll be doing all of my baking Saturday morning (instead of what I usually do which is bake a batch later Friday night as well). This means I’ll be doing a smaller selection of loaves this week and also, if you want a specific loaf, I’ll try to give you a relative time frame when they'll be coming out of the oven, but everything should be available by noon. As mentioned above, a relatively small bake this weekend - No Kingston Country loaves, but a lot more Oland + Levain than usual. 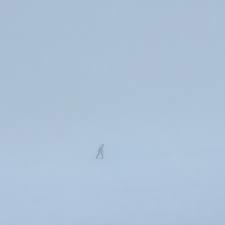 This ambient/jazz/electronic album was shared with me recently and its been a good soundtrack for my recent travels and walking around cities. It's quiet and reflective. Peaceful but not at all boring. I am very happy to report that after a week of setbacks, last weekend was one of the best weekends for baking yet. The bagels and bread were both (IMHO) some of the best I’ve ever made and we had a fun Saturday talking to some of our favorite customers and making cookies (cookies will now be a regular thing FYI). So what were the changes? TEMPERATURE and TIME. That’s it. I adjusted some formulas slightly to include additional helpings of our levain (starter culture) but really the biggest difference was keeping a very close eye on the ambient temperature and the length of fermentation. Sourdough/Natural leavening/Wild yeast is a super finicky beast and can really only do its best work at very specific temperatures (ideal = ~76F). Slightly lower is OK, it just takes a little longer, slightly higher also OK, just moves faster. But too far in either direction and you’ll end up with over or underproofed bread. 2 weeks ago, it was super cold in the kitchen (read: 60F) and the wild yeast just couldn't do their jobs. Last weekend, we not only cranked the heat a bit, but we watched the dough very very closely, checking the temp ever 30 mins to make sure it stayed even and moving it around the room to try to keep it warm. It worked. We’re employing the same techniques for the rest of the winter, including adding a small space heater and some other tools to monitor the fermentation. This weekend will be a good one. Oat Porridge is one our most requested loaves (it’s also one of the most time consuming to make which is why we don’t have it every weekend). 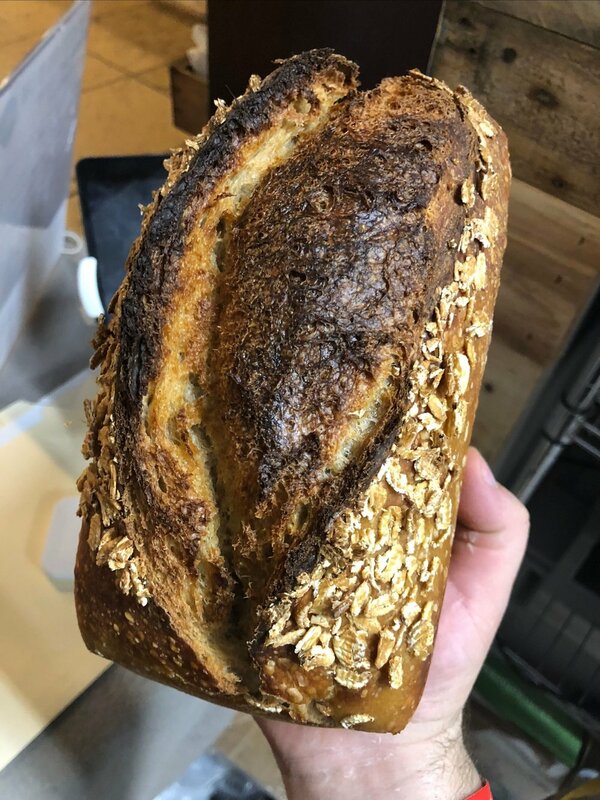 It starts with a base of half whole wheat, similar to our Upstate Levain, with the addition of freshly milled oats which we cook down into a rich porridge. When this is mixed into the dough it gives it rich oatmeal flavor, while also making the texture extremely moist and rich. This bread also keeps the longest (besides the whole rye loaf) because of its high moisture content. Great with a giant pat of butter or jam. A classic in the ‘lost album’ genre, Darondo’s unique soul/funk recordings were almost lost to time and only unearthed in the past couple of years. Besides the single ‘Didn’t I’ this whole album is full of funky cuts that will get stuck in your head and you’ll be grunting and shuffling along in no time. Holy Canoli! I started writing this and realized this marks the 50th week of delivering bread to my fine community. It feels like a lot more and lot less at the same time. Thank you all for all your support. Especially, Thanks for your support even when the bread isn’t that great (like last week). Sure it was edible, and I bet a lot of you liked it, but being my own harshest critic, it was clearly not up to my standard. Why? Well, the short answer is COLD. All of a sudden last Thursday and Friday the extreme cold that hit made the kitchen drop significantly in temperature (it was 50F when I got there on Friday morning!). Just like I had to when it got hot, this is a process, and I’m having to revisit all of my formulas and timings to adjust for the new coolness. I have some ideas for this week and hopefully it will be much better. (If you’re interested in more of the science about this, I’m happy to talk your ear off). This week should be a good weekend, though, with some extra special bagels and if all works out, some very stellar bread. Unfortunately, we had a lot of extra loaves last week as a lot of shareholders didnt show up. A reminder to please let me know if you’re not coming, and if you are and want me to save a specific loaf just send a note! Baguettes have also become extremely consistent and good (aka every week is a little bit better with them). Sesame Semolina is one of our alltime favs. A blend of whole wheat, white and semolina flours, its beautiful yellow color and special aroma make the perfect bread for dipping in your favorite red sauce, with a slice of fresh cheese, or just a healthy dose of good olive oil. I’ve been on one of my regular ‘Dilla’ (Jay Dee/J Dilla) kicks, where I listen to ‘Donuts’ 1000 times in a week, and mix it up with some of his other greatest works. Trinity is definitely up there (with ‘Like Water for Chocolate’, ‘Jaylib’, ‘Labcabincalifornia’). Enjoy some of the classics of early aughts Chicago hip-hop. RIP Dilla. Feeling very thankful today! A lot of you ordered and came and picked up bread for Thanksgiving and I even got to save a loaf for myself. The Rough Draft first birthday was a big success. We served about 150 plates of food and still managed to have too much left (be prepared to see Smoked Turkey and Pastrami on a bagel near you soon). It was a ton of fun and I loved seeing all the friendly faces chowing down and even coming back for seconds. This weekend we’re FINALLY back to ‘normal’. It's going to be a little bit of a big bake tomorrow as I was unable to do my typical Thursday/Friday prep, but that just means more fresh bread for you and yours. And after a 3-week hiatus because of travel and the party, bagels and baguettes are back tomorrow. I can’t wait! Tomorrow is also Small Business Saturday so please come out and support all your favorite Uptown Shops (despite the cold)! A limited amount of loaves this week because of no Friday bake, but if you want me to reserve something for you, let me know! This album is a couple years old at this point, but something about the interesting mix of hip-hop/soul/jazz/gospel keeps me coming back. The production is super unique and has you nodding your head even without the boom bap. Greetings from Winterland, USA. I’m planning on warming up near the oven for the next few days but will have to spend a bunch of time outside working the smoker for this weekends main event (see below). With the big party happening this weekend, there will be no bagels for sale but there will be bread and TONS of food, so please come by and eat. We will also be in full effect for bagels and all the fixings on the Saturday after Thanksgiving (11/24). Looking forward to indulging you after a full week of eating. ROUGH DRAFT BIRTHDAY PARTY Saturday, Nov 17th. This Saturday on top of our bread shares, we’ll be cooking and smoking up a storm to celebrate Rough Draft’s First Birthday. There will be food starting at noon (until we sell out) as well as lots of other giveaways and fun. See the full menu above. Additionally, If I'm not passed out from cooking for 24 hours straight, I’ll be doing a DJ set starting at 9PM. Get ready to GET DOWN. On top of shares for this weekend, I’m doing a special pickup for bread for Thanksgiving. You can pre-order loaves through Monday for pickup Weds at noon.. If you have a share, you can use one of your share credits for a loaf, but you have to let me know by Monday. I won’t be baking extra so please get your orders in! No baguettes or bagels this weekend and bread beyond shares will be really limited. Please let me know if you want me to reserve something for you if you have a share, or buy a loaf ahead of time online. The first round of Caraway Rye came out great - a really good middle ground of my favorite sourdough and the classic NY Deli Rye. We’ll be serving this with our BBQ this weekend. Kind of an odd pick this week - I watched Annihilation on a recent flight (the movie was ‘OK’) but the soundtrack was great. This has been my late night focus music for the past week. It’s an interesting mix of live instrumentation (strummed guitars) and wild synth growls. However, this isn't just a reminder that there is no bread this weekend, because there is also NEWS. 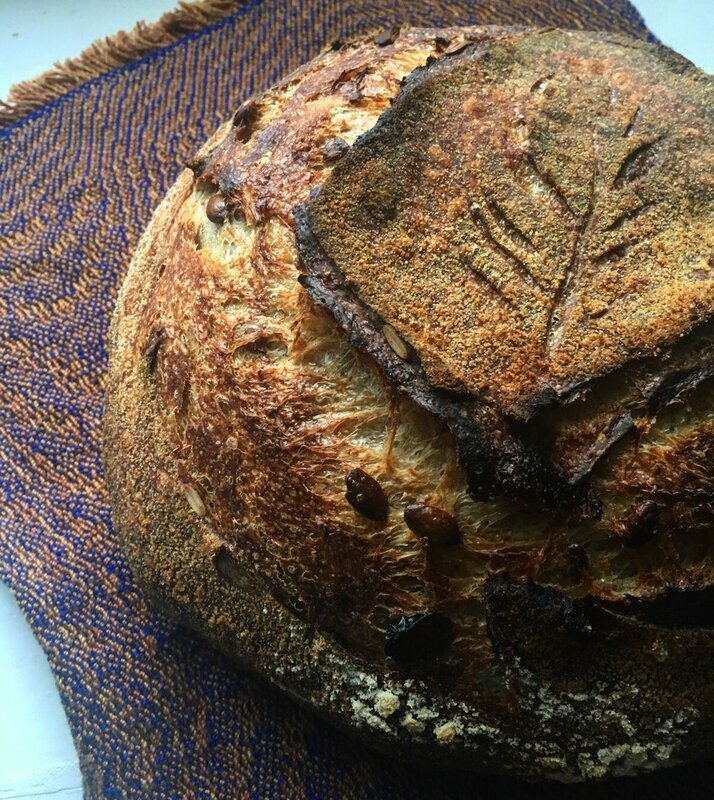 Wouldn't it be nice to have a beautiful fresh loaf (or 2) for your Thanksgiving meal? We're offering a choice of 2 different loaves that will be baked fresh for pickup on Wednesday 11/22. Pickup will be at Rough Draft Bar and Books. More information will be sent the day before. Cranberry + Pumpkin Seed is a special bread just for Thanksgiving. A levain style loaf studded with dried cranberries and pumpkin seeds. Very festive. Perfect for a spread of cheese before dinner or after or as a centerpiece for your table. Kingston Country is our classic sourdough loaf. It’s mostly white with a bit of whole wheat for flavor and with very open crumb. This is an all purpose loaf that is great for sandwiches or for the best stuffing ever. In fact, our friends at Ravenwood used this bread for their stuffing recipe in Williams Sonoma. Next Saturday, 11/17 come to Rough Draft where instead of bagels (there will still be bread, just no bagels) we will be serving a full meal of what I'm calling Jewish BBQ. Somewhere in between Jewish Deli and American BBQ: Smoked Brisket Pastrami, Smoked Turkey, Smoked Beef Salami, Noodle Kugel, Collard Greens. It's going to be great. Food starts at noon, but you can pick bread up starting at9AM. If you come back at 9PM I'll also be closing down the place with a DJ set. And finally, the next bagels will be 11/24 the Saturday after Thanksgiving. We'll be doing a massive spread so come decompress after all that family with a hefty dose of NOSH.